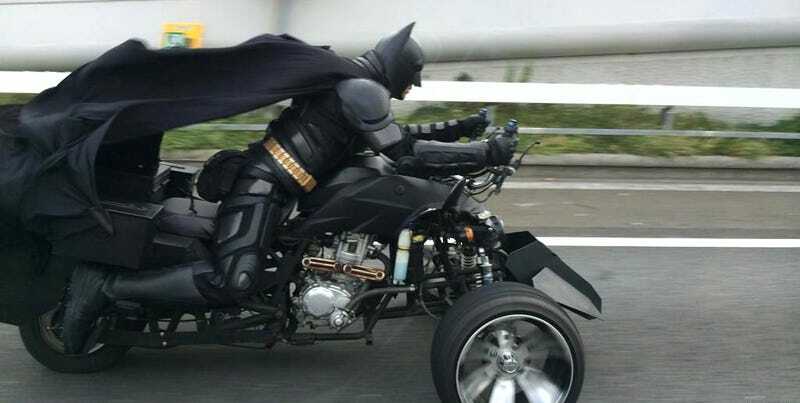 Apparently there's a crazy dude going around in Japan in full Batman uniform driving a batcycle. And that's perfectly fine by me, quite honestly. Go Batman go!